Trump tweeted from his golf club in Bedminster, N.J., on Sunday morning describing the meeting with Sulzberger and Bennet as “very good and interesting.” But in using the phrase “enemy of the people,” Trump did not admit he was the one who first used that alarming phrase in his first year in office and continues to use the label to assail the news media. Now that the meeting was suddenly on the record, Sulzberger responded to correct the record, and a public battle ensued as the president and the paper traded Twitter fire. 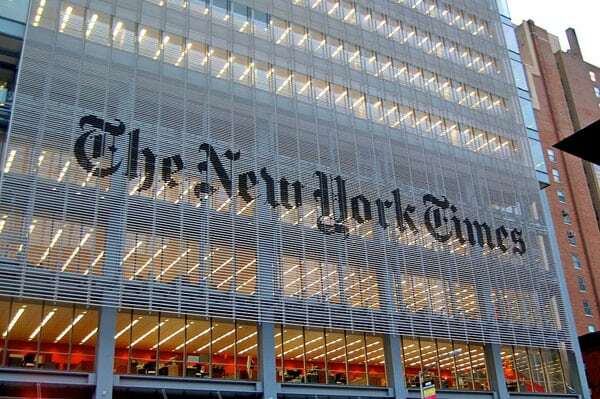 As a recent poll indicates, Trump supporters will likely believe that he successfully defended his administration against “fake news” by the “Failing New York Times” (they are in fact doing just fine). But Sulzberger’s point is indisputable that when the US president labels journalists as “enemies of the people,” it provides license for dictators, despots, and purveyors of mob rule to threaten the press as a means to silence critics and evade accountability. The European Centre for Press and Media Freedom in Germany (ECPMF) sees parallels to this dangerous rhetoric against the news media in the US to the significant increase in violence against German reporters in 2015 and 2016.